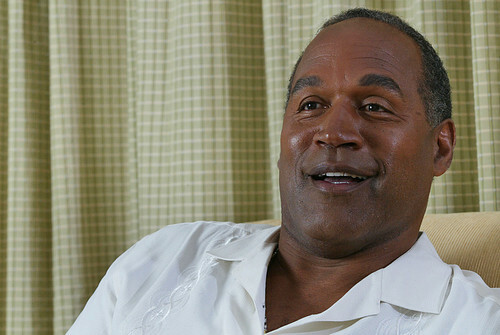 No special treatment for O.J. His breakfast every day will consist of fruit, a cup of toasted oats, sausage hash, bread, margarine, and coffee. Lunch will be spaghetti, a meat patty, green beans, two slices of white bread, a biscuit and a fruit drink. Dinner will be casserole, rice, garden salad, two slices of bread, margarine, marble cake and a fruit drink. Simpson will be in protective custody, of course, but will still be subject to all the rules of the facility, including a 4 a.m. wake-up. "I'm not going to give you any more chances," Criminal Court Judge Melissa Jackson told the 28-year-old rapper. "I hope you turn your life around and never again have to stand in a court of law." Just before the hearing began, Brown, her hands shackled to a scuffed brown belt that settled on the hips of her elegant gray pantsuit, asked the judge for yet another chance at freedom and promised to straighten out her life. Jackson had jailed her Aug. 22 to await the hearing. "I'm willing to do whatever I need to do to change," Brown told the judge. She said she had made a lot of mistakes. "I realize that's not where I want to be. It's humbled me in ways I never imagined." The judge replied, "Ms. Marchand, it's too little, too late. I'm glad you're learning something; that's a positive." The judge found Brown had left the state without permission; had moved her residence from Brooklyn to Mahwah, N.J., without permission; had failed to notify the department of an arrest in Mahwah; had failed to report to probation officers, and had dropped court-ordered anger management sessions with a psychologist. The one-year sentence means Brown, with time off for good behavior for her detention that began last month, will be eligible for parole in eight months. 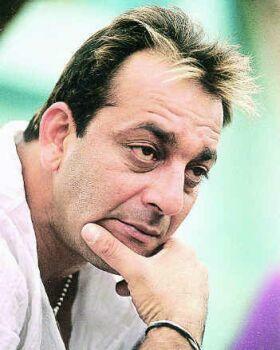 Sanjay Dutt is one of India's biggest movie stars. Heavy-lidded, beefy and whiskey-voiced, he's a natural for action heroes but also works well as a comic protagonist. (Think Bruce Willis with a dash of Stallone.) This week, though, the bigger-than-life Dutt was sentenced to six years in prison for possession of weapons thought to be potentially involved in the planning of a terrorist plot. It's a complicated case, and the sentence is unusually harsh -- especially for a big movie star. Dutt broke down when his sentence was read, but the judge had no sympathy. Dutt's lawyers said they'll appeal the sentence. Comedian Bill Cosby agreed to be the keynote speaker at a prison graduation ceremony on Monday, after receiving a letter from the prison school's principal, according to Staff Writer Katie Melone for The Hartford Courant. Cosby spoke to 27 men who had received their high school equivalency diplomas, or GED's while incarcerated in Enfield at Willard-Cybulski Correctional Institution in Connecticut. Before he spoke he had the opportunity to hear 6 of the inmates' speeches. In an interview after the ceremony, Cosby said he "damn near broke" down. 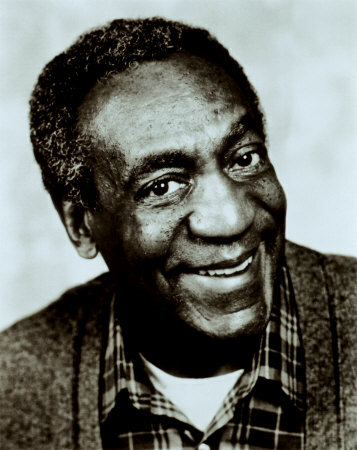 When it was his turn to speak, Cosby offered the men some characteristically practical advice, along with some even more characteristic jokes about life, education, and criminal behavior. He urged the men who had children to make contact with them, and to encourage their education when they are released: "I want your children to fall in love with you not because of sneakers, not because of an iPod, but because of algebra." While finishing up his speech, he reminded the inmates that they are fathers, "but I want you to remember that you're also men," he said. "Your absence is noticed in the outside world." No, we aren't talking about the recent presidential elections in France. Instead, we speak of Paris Hilton, and her ongoing prison travails. The rumors continue to fly, just one day before she gets released after what is surely the most celebrated incarceration since Al Capone stayed at Eastern State Penitentiary. Hilton told E! News last week that she plans to build a "transitional home" to help recently released inmates readjust to freedom. "These women just keep coming back (to jail) because they have no place to go," Hilton said. "It's a really bad cycle and if we stop it now, we can make our community a better place." If Paris would like to join our Re-Entry Services team, she should get in touch. Meanwhile, she'll tell her story to Larry King tomorrow night. Michael Moore was scheduled to appear, but they ditched him when they learned Paris' release date. Classy. Barbara Walters: Paris interview is "beneath me." Someone here at the Prison Society has had the brilliant idea of sending jailbird Paris Hilton a letter and invitation to become a member. Pictured here is her mugshot, for which she was permitted, apparently, to sweep her hair to the side and apply dewy makeup and lip gloss. This is by far the most flattering mugshot we've ever seen; she's no Yasmine Bleeth. So Paris, if you or your friends or family are listening, you are hereby officially invited to join the Pennsylvania Prison Society, the nation's oldest prison-reform organization. For 220 years we've been advocating on behalf of incarcerated people, and as of yesterday, you're sort of part of our constituency. Feeling blue about 23-hour-a-day lockdown? Let us know. And, um, just disregard the dues information on our membership page. The membership dues are actually $100,000 for hotel heiresses. Check or money order accepted!